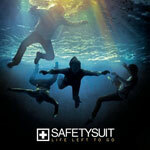 Safetysuit Biography, Discography, Music News on 100 XR - The Net's #1 Rock Station!!! The origins of this Alternative-Rock Nashville, Tennessee USA-based act lay in the dissolution of the short-lived band Crew whose members included singer + guitarist Douglas Brown, bassist Jeremy Henshaw and drummer Tate Cunningham; guitarist Dave Garofalo was the final piece in the Safetysuit puzzle. 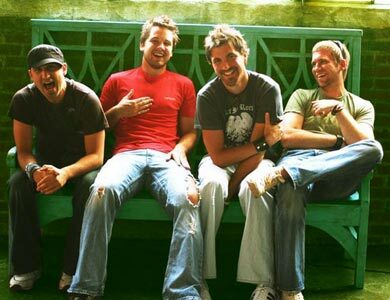 Despite the lack of a local fanbase, no deal and no manager, the group obsessively began to rehearse and eventually recorded an EP in the summer of 2005. So the gigs began, at nice places, dives, theaters, clubs, wherever, often 2-3 times a week and as expected by the band, the fanbase grew. Labels started sniffing around and Safetysuit scored a big break when they landed a publishing deal with Zomba, a division of Universal. 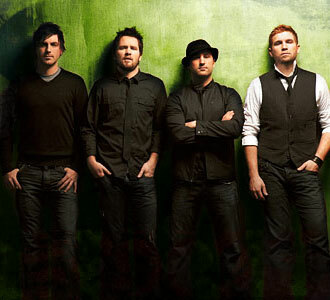 The band's debut album, entitled "Life Left To Go" arrived in May 2008, reaching the #15 position on the Billboard's Top Heatseekers list led by the first single, "Someone Like You", which climbed The Hot Modern Rock chart to hit #17. A second single, "Stay", followed a year later.